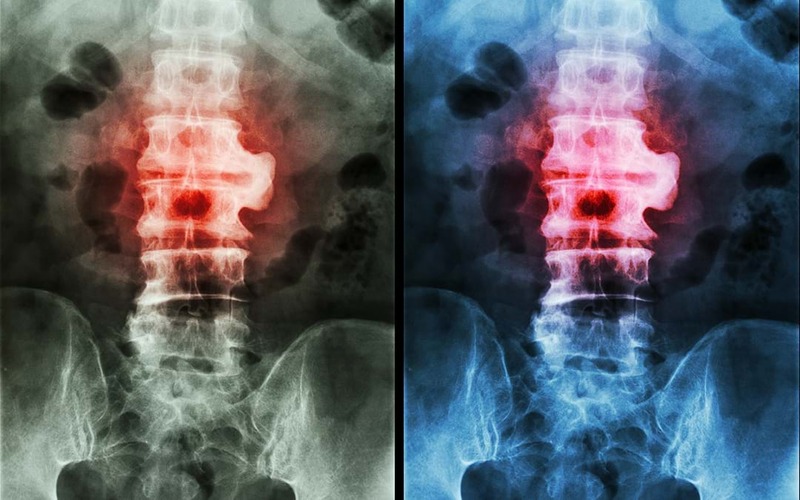 Stem Cells Therapy for Ankylosing Spondylosis- Studies have solved the mystery of orthopedic conditions, wherein cellular senescence; a state whereby cells stop dividing, is a primary cause. Further analysis in these regards suggest that targeting these cells could nevertheless be a promising way to prevent and/or stop the progression of these conditions. Ankylosing spondylosis, also known as bamboo spine is a kind of arthritic condition, which can progressively lead to chronic pain and discomfort, in the lower portion of the spine. Studies have significantly identified it to be an inflammatory condition, triggered due to immunological deregulation; majorly affecting bone and joints connection of the spine. Progressively, the inflamed vertebrae and joints will further be fused to each other, causing absolute loss of spinal flexibility and spinal curvature. Since symptomatic exhibition of AS is found to have genetic correlation; it is commonly being categorized as a lifelong disorder, however, certain environmental factors may trigger the epigenetic conversion of the gene, starting immune flare-ups. The first symptoms of AS are reported to be visible by the age of 30; leading to long-lasting pain and inflammation. Pain in lower back, buttocks and also sometimes in legs. AS may progress in some joints, causing them to produce new bones; especially due to the fusion of one or more bones. With progression, AS can limit body’s ability to perform a physical task, productivity and thus, affect the quality of life. Certain other symptoms may be associated with disease progression, like peripheral arthritis, psoriasis, inflammatory bowel disease, etc. Many people with AS have as well complained about inflamed, painful eyes, which can progressively add on to the blurry vision. In rare cases, vital organs may as well get affected, like lungs and hearts. The condition has been reported to affect the life of every individual very differently. Some may experience flare-ups with some time intervals, however, the experience may never get worse; whereas, in some other case, the disease may progress rapidly, with symptoms worsening over the period of time. The spine is the first shelter of symptoms in case of AS. A person may usually feel burning sensation that may radiate towards the buttocks and thighs. With its progressive appearance, the inflammation may usually spread on the spine, causing severe pain and stiffness, affecting posture. Painful and inflammatory sacroiliac joints are the hallmarks of AS. These are the junction, where the spine and the pelvis meet. Inflammation of this place is often associated with lower back pain, which may progressively radiate towards hips, shoulders, sacroiliac, pelvis, and ribs. Inflammation of AS, spreading up from the spine can affect other parts of the body as well, like chest. Since the thoracic ribs are attached to the spinal bones; inflammation in the spine can pressurize these joints to be stiff and tight, thus, making it difficult for expansion, while breathing. The expanding inflammation can pass on to reach the eyes, causing iris and uveitis. These terms describe the eye inflammation, leading to discomfort, when untreated. A person with chronic AS, may thus suffer from eye inflammation that may become bloody red or the person will be able to see dark spots. In many cases, they may have visual difficulty, which may progress rapidly to cause permanent blindness. Currently, there is no cure for a conventional route for stem cell therapy for ankylosing spondylitis, as a matter of fact, inflammatory disorder like AS needs variable treatment approach for being cured. In this regard, stem cells and their therapeutic application are found to be very relevant. Stem cells are body’s own master cells with the ability to differentiate into any desired cell types; upon forcing through the particular pathway. These stem cells can thus be isolated from body’s own potent sources, from adipose tissue and bone marrow, to be injected back at the site of injury; in order to allow regeneration of lost bone cells, reduction in the inflammation and regulation of immunity to secrete different growth factors, for functional restoration. Stem cells therapy for Ankylosing Spondylosis, thus, aim to get rid of functional proteins; causing inflammation.